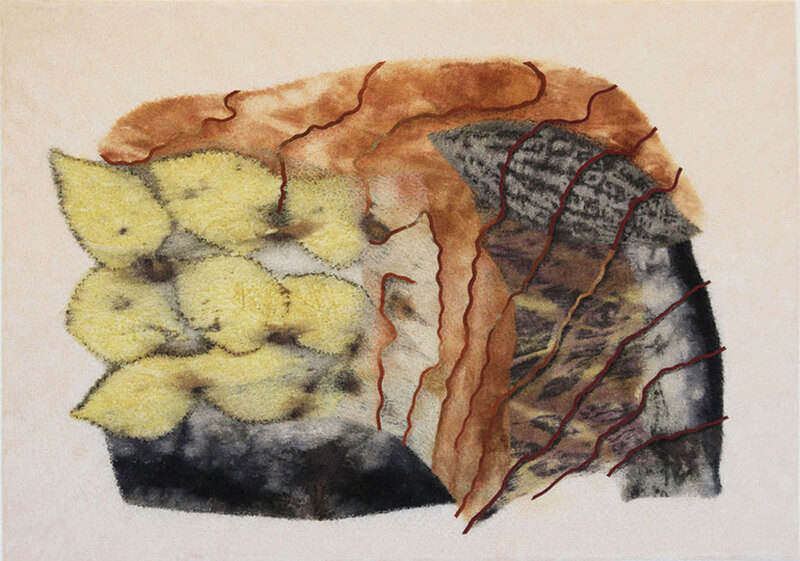 Marta Mouka is a textile artist who creates collages using a unique approach to needle felting. 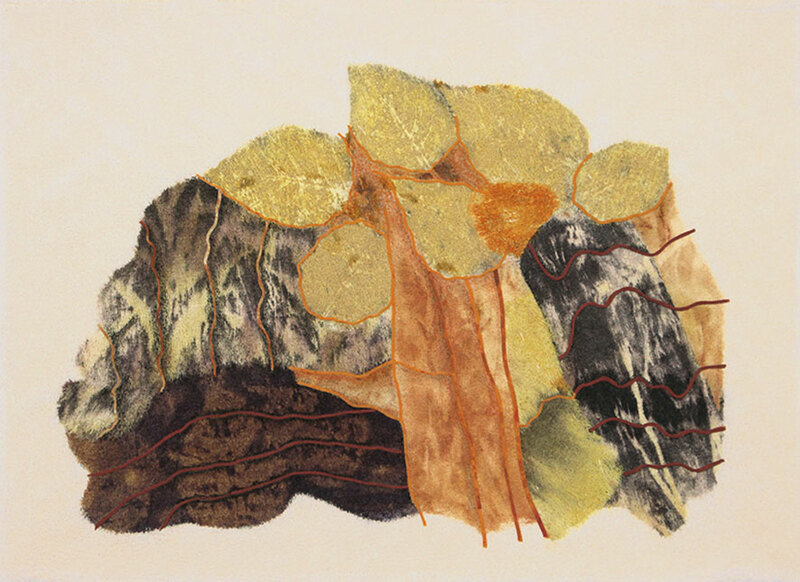 She works with woven silk, often contact-printed with plant material, to make finished textiles with a smooth texture and soft-focus colour transitions. 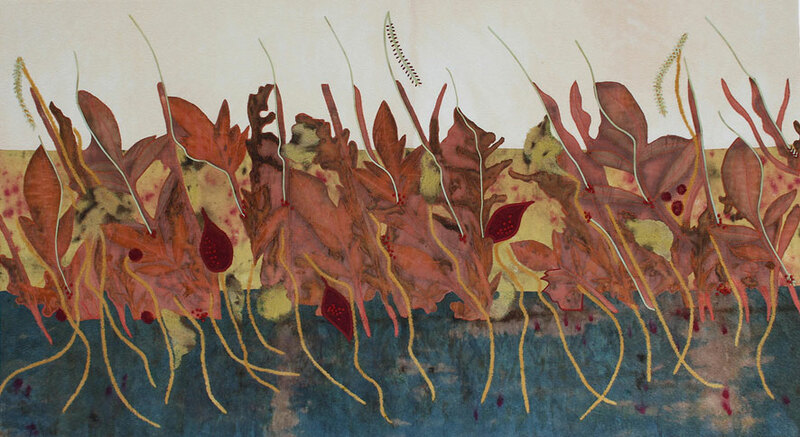 She experiments with centuries-old techniques of dyeing with natural dyes and combines them with the more contemporary method of botanical monoprinting. Marta studied graphic design and visual arts at the College of Applied Arts in Brno, Czech Republic. She ran a graphic design studio in Toronto for 14 years, specializing in magazine art direction. Her extensive graphic design experience brings a strong sense of composition to her work. Marta has been creating art for over 30 years. 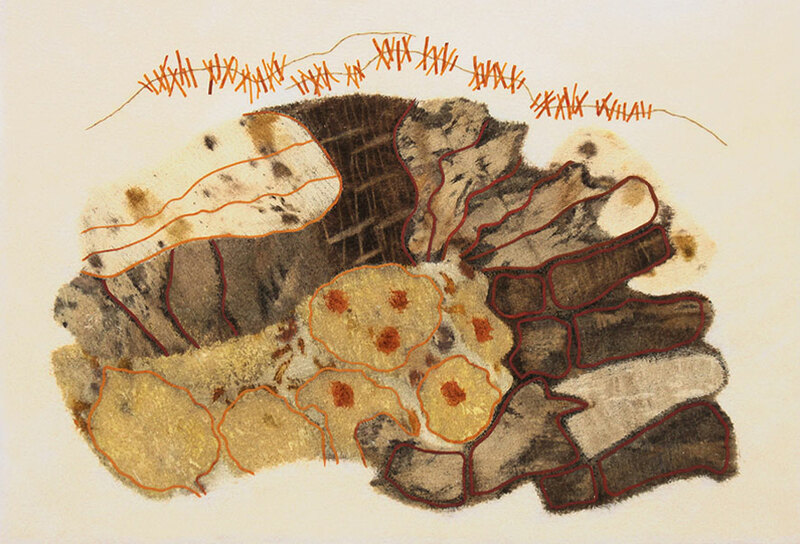 Since 2008 she has been a full-time textile artist, living and working in Tweed, Ontario. She has held solo shows and participated in juried group exhibitions, and she has received a number of awards. Her art is held in private collections across Canada.